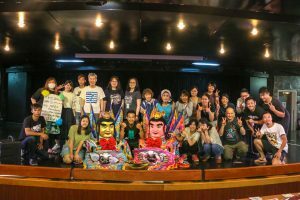 Tonight was the final performance of Taiwanese Theatre Company Natajintogekibou. 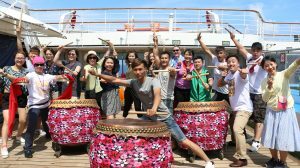 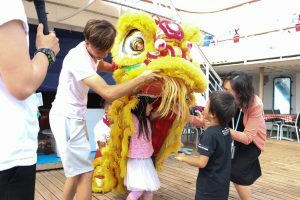 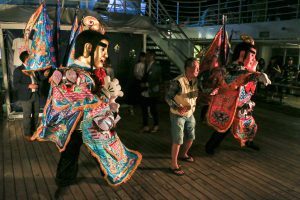 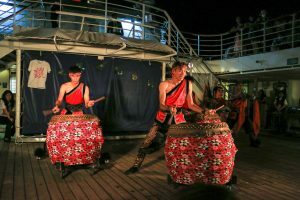 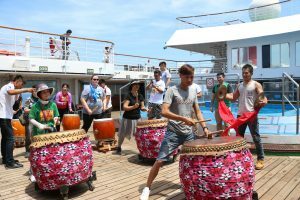 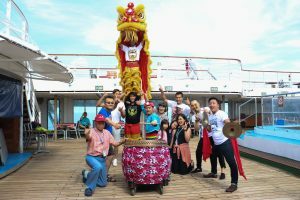 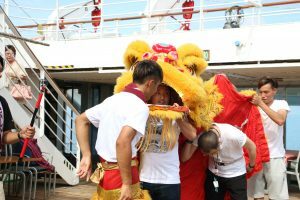 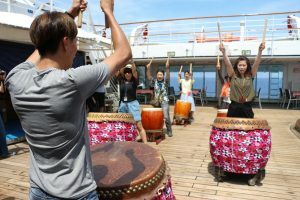 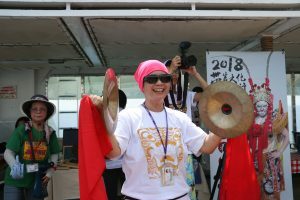 They performed many times on board and taught many cultural classes, including Taiwanese Taiko, experiencing Lion Dance, and Electric-Techno San Tai ZI Dance. 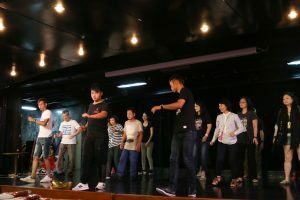 All the participants – no matter from which country they came from – enjoyed their performances and classes. 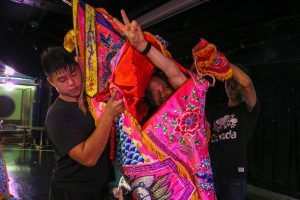 In their last performance they brought us Ba Jia Jiang. 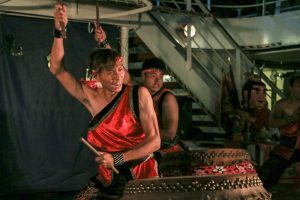 They ended the show with a bang! 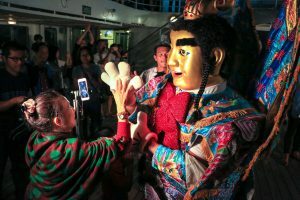 The group leader, Mr. Gao Yuan Han described Taiwanese temple performances as just like a Chinese Disneyland. 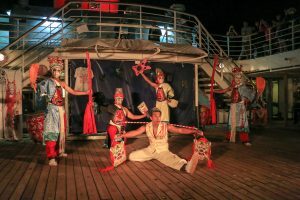 Disney has Snow White, and the Little Mermaid, but we have Lion and Dragon Dance, and Electric-Techno San Tai ZI. 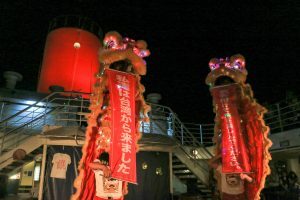 Natajintogekibou has been on board for more than 20 days. 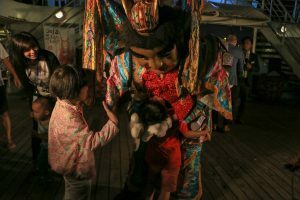 They interacted with many participants and let everyone experience Taiwanese culture though practices and performances.